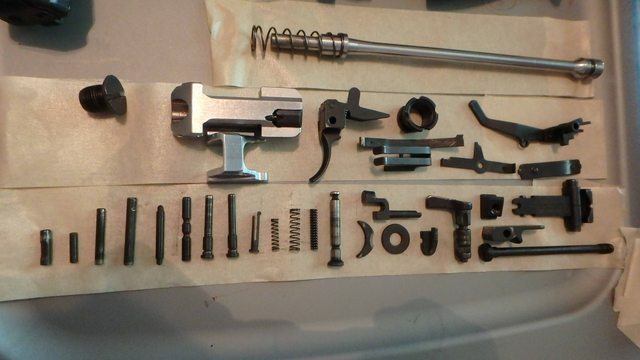 Got a VZ58 kit, What is missing? I know I'm late to the VZ game, but it was a now or never. I broke down and got a kit from Arms of America. I've got a fixed stock on the way. I believe I'm missing the 2 pins for the front sight. I also believe I'm missing the pin and detente that retain the captive pin for the dust cover. I am unsure of what else may be missing, so I'm providing 2 detail pictures and an over view picture. Ok looks like I have the top cover detente after all, its just longer than I'd expected. looks like it doesn't use a spring??? Any idea where to get a new (over sized) barrel pin? and the trigger guard rivets? Last edited by Ghost; June 04, 2018 at 21:39. 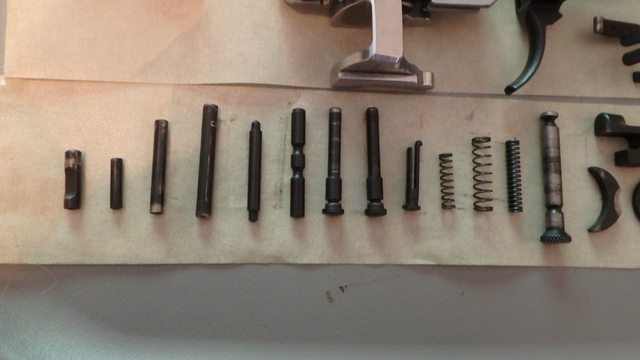 The original barrel pins were about 0.136"
The replacement barrel pins that Czechpoint supplies for building kits with the D-Technik receiver is about 0.158" The receiver is dimpled to indicate where the barrel pin hole is milled/drilled. The long receiver cover detent has it's bottom end resting on the long finger of the trigger feather spring. Looking down into the receiver from the top with the front forward, the right hand finger extends rearward into the opening at the rear of the receiver and the detent comes down it's hole from the top and rests on this spring. I think some things would be more self evident if I had a receiver in hand. I just missed out on the CNC Warrior run. Hoping they do another run. From what I gather the FCG I chose will be contingent on the receiver I find? Original axis pins vs. proprietary. thats neat, thanks for the link. I got in on the very end of the new CNC warrior receiver run, so I've got a receiver shipping today! Congratulations, Ghost. I was not even aware CNC warrior was doing another run. He makes good stuff but his prices make IMBEL receivers look cheap at times. I almost missed out on it. 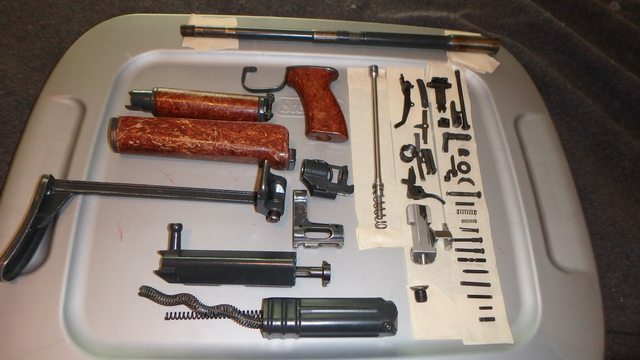 Now I need to figure out the tooling I'll need to get it all together, primarily pressing the barrel. Actually looks like a pretty easy build.